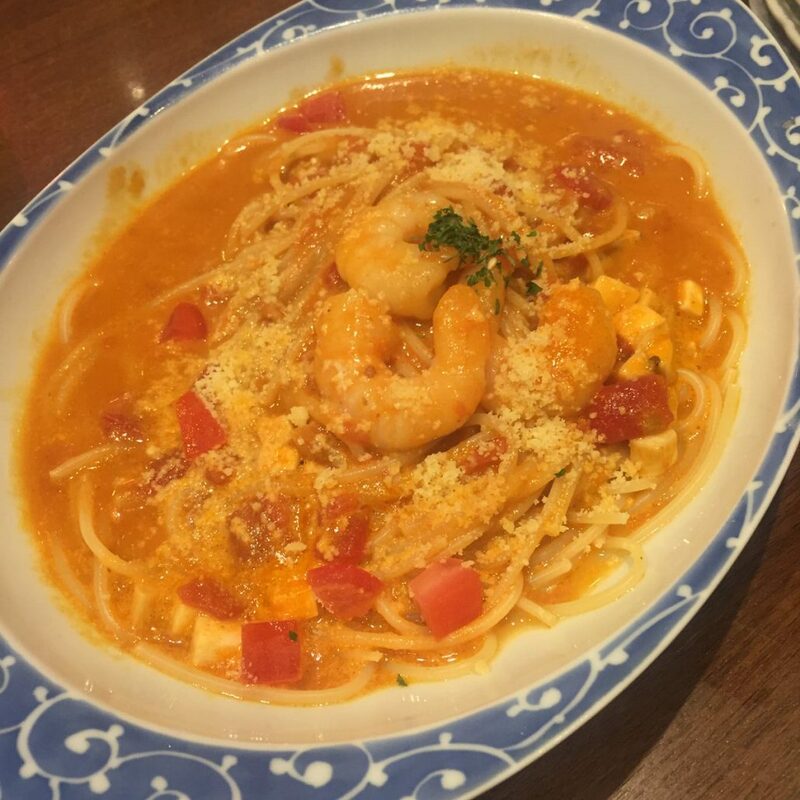 This plate of spaghetti served in creamy lobster bisque base never fails to satisfy us! 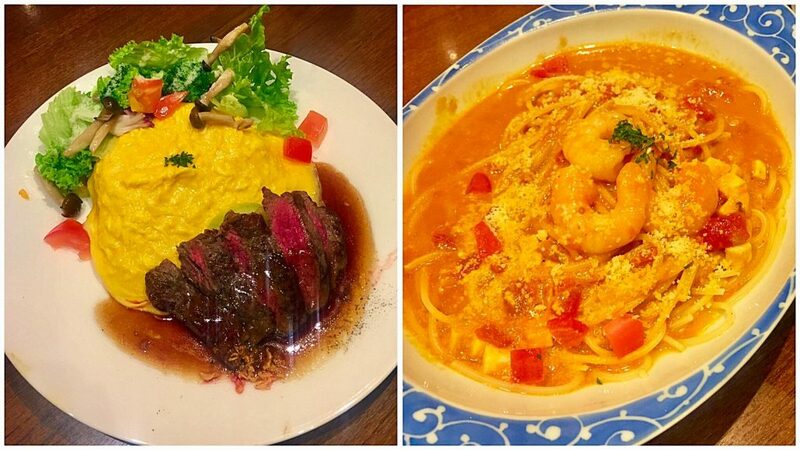 Out of these 3 dishes, this is our favourite! 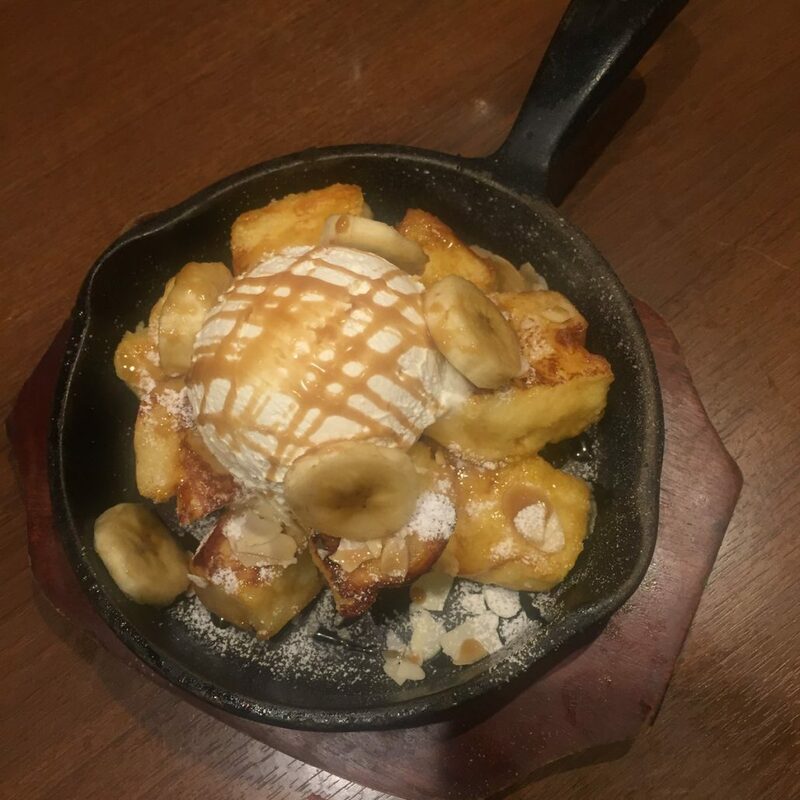 We order it everytime we are at Hoshino Coffee! It is served with lobster bisque soup but not the lobster itself! The lobster bisque base was incredibly delicious and rich. Just the way we like it! The pasta portion was huge and it would definitely taste nicer when you share it with 2-3 person! I am impressed how this simple dish could taste so yummy! 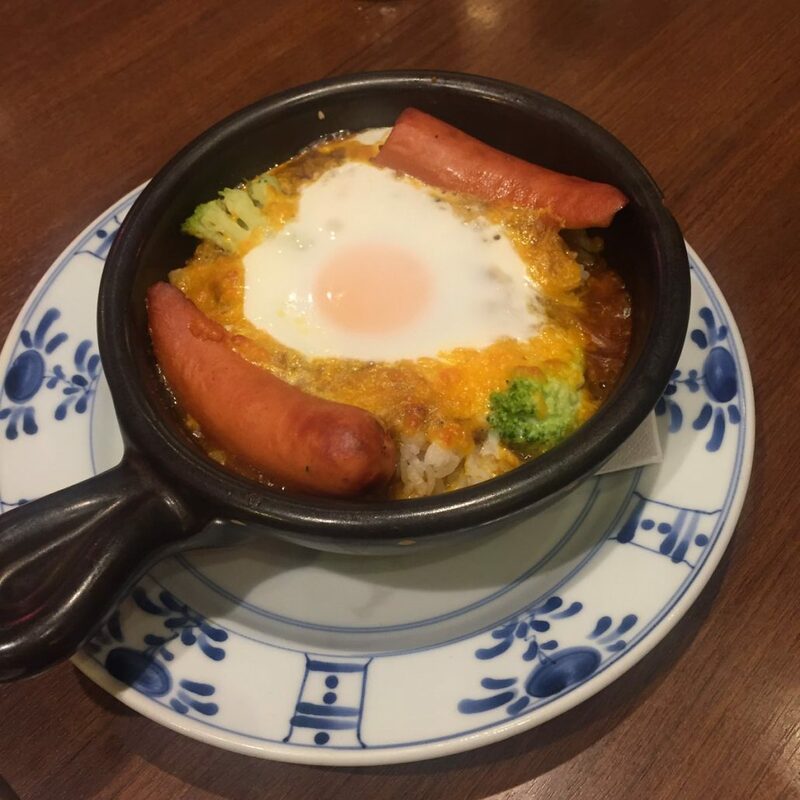 Served piping hot on a sizzling hotplate with basic ingredients of sausage, broccoli, cheese and a semi-molten egg. The curry was so sweet and fragrant. Every spoon that enters my mouth was so flavourful! This softly baked French Toast is served with homemade Whipped Cream & Maple Syrup. We would recommend you to add on softee (+$1:20) as the big scoop of ‘ice cream’ you see below is actually their homemade whipped cream. 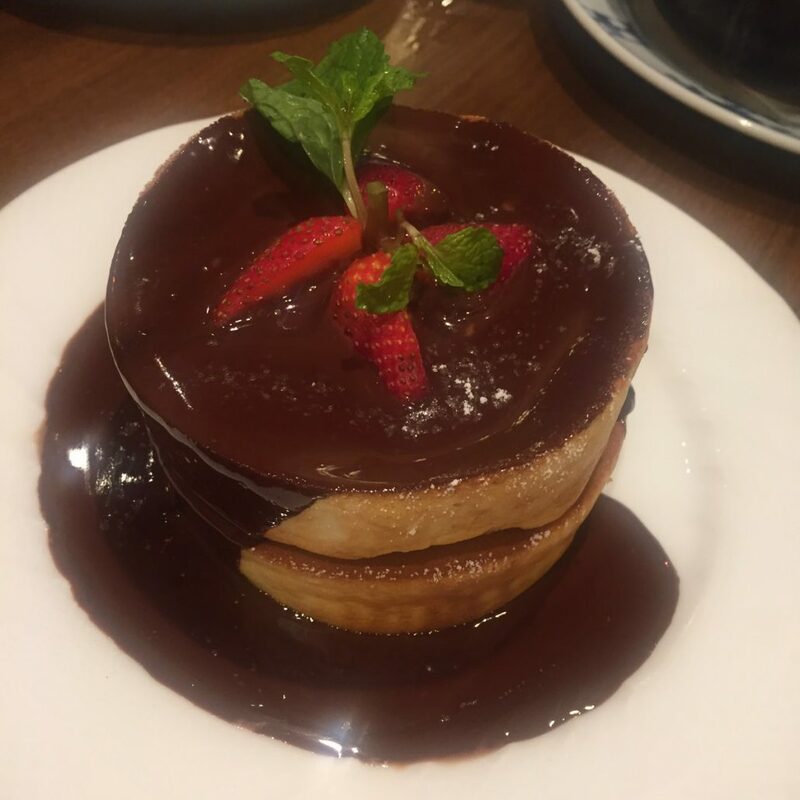 Pancake soufflé are Hoshino Coffee’s best-selling dessert and we were really looking forward to our plate of fluffy, freshly baked soufflé pancake. This is the countless time eating the soufflé pancake but sad to say, the standard has dropped significantly. When we tried it for the first time, the soufflé was so delicious and it melts into our stomach within a few minutes. Came with high expectation, left disappointed. The soufflé pancake doesn’t taste good anymore. It’s no longer light and fluffy inside and crispy on the outside. We gave them our feedback and really hope that they can serve better soufflé. 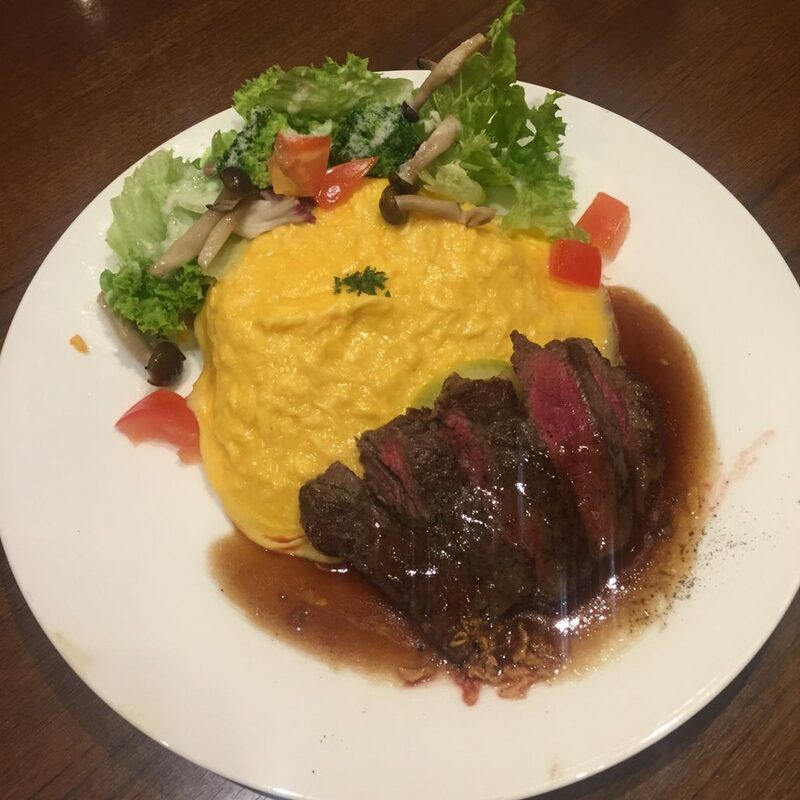 Honesty, we love Hoshino Coffee and wouldn’t hesitate to dine here again. But the food certainly wasn’t as good as before. I really hope they can deliver consistent quality food to avoid disappointment. Tips: Soufflé Pancake takes around 20-30 minutes, order them together with your mains! 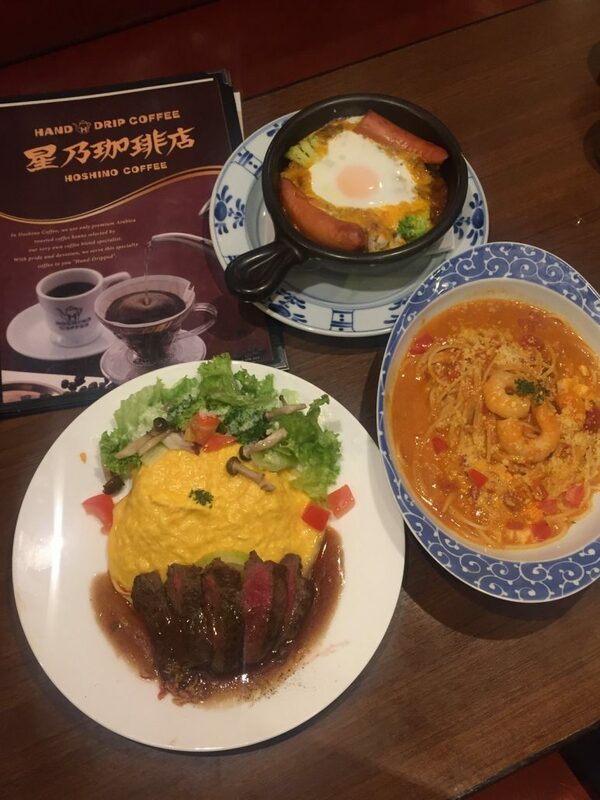 Let us know how you find the food in Hoshino Coffee! Comments below!